It’s one of only two yearly events to grace the beautiful Berkeley Square. At the heart of the modern, cosmopolitan city and steeped in historical resonance, the location could not be more fitting. 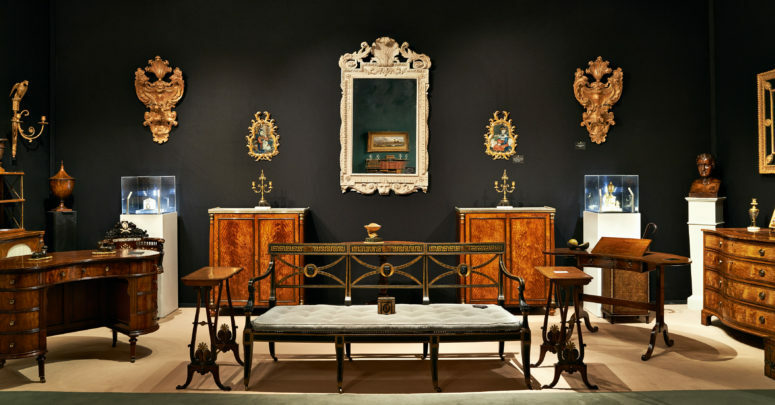 Over 110 exhibitors will present work from across the art, antiques, design and decorative arts spectrum including jewellery, furniture, carpets, tapestries, antiquities, clocks, ceramics, silver and fine art. Authenticity is assured thanks to a 70-member specialist committee pre-vetting everything on sale.